(This blog post has been published by the journal named on its Web site. Go here to view it on the Web or here to download it as a PDF). Transformative learning occurs when our frames of reference change as a result of critical reflections upon which our interpretations, beliefs, habits, and points of view are based (Mezirow, 1997). 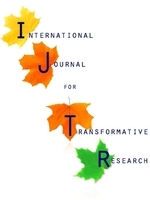 The December 2017 issue of the International Journal for Transformative Research stays true to this foundational perspective, while at the same time offering us new and exciting opportunities to deepen our understanding and practice by exploring diverse experiences of practitioners from around the globe. 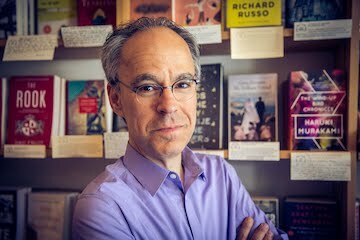 To this end, as an editorial board member, I’ve been asked to write the forward to this issue and am delighted to introduce you here to what’s in store as you peruse its articles. I’m struck by the delightful mix of pieces derived from the authors’ experiences in primary and higher education situated in varied developmental contexts. I’m confident you’ll find them as inspiring as I did. In the first paper (p. 1-6), authors David Smith, M. Asim Qaayyum, and Natasha Hard from Charles Sturt University in Australia share findings from the latest phase in their research, which explores how specific interventions can help university students grappling with the complexities of finding information online. In this pilot study, their students were asked to use an open source software program, “Wordsift,”to identify and understand key concepts in assignments. This program incorporates text visualization techniques, the intent of which is to synthesize and summarize text into more concise visual representations to provide insight and increase document comprehension (p. 2). Over time, the researchers note how students spent less time searching for information while also using the program to reflect upon their progress. As a result, they conclude that automated assistance in the form of visualization tools can scaffold the way students conduct online searches. This conclusion speaks to the transformative nature of the researchers’ work and should pique our interest as educators challenged by teaching and learning in online environments. The second paper (p. 7-17) follows the transformative action research project undertaken by authors Sigrid Gjotterud and Erling Krogh of the Norwegian University of Life Sciences. Starting out as a voluntary project with orphaned Tanzanian youth managing a group of dairy goats, it morphed into a parallel process of inquiry with the young people and researchers alike tracking their own development throughout the process of working together. The researchers observe how the orphans grew in self-esteem as they managed and mastered an evolving set of circumstances, concurrently developing their individual sense of belonging and compassion. In such circumstances, they conclude, we have “the ability for creative problem-solving andleadership based on social responsibility.” (p. 15). The reader can’t but share the authors’ sense of hope as they report on these transformative processes. Gjotterud and Krogh’s research report project creates a context for the next and third paper in this issue, from Donna M. Mertens of Gallaudet University (p. 18-24). Drawing on personal research experiences, she puts forth a concept of transformational research that potentially changes the individual as well society at large. In fact, she maintains, one without the other falls short in terms of fulfilling the true potential for our work. Examining underlying ethics, assumptions about research, and relationship with communities is essential. Thinking about her work in this way, Mertens concludes, “prompts me to engage differently with study participants, ask different kinds of research questions, and design studies that are focused on supporting changes that challenge an oppressive status quo.” (p. 23). Indeed, as we ponder future possibilities for our own work, we need to heed this message. The final two articles in this issue return to specific educational contexts. Bernie Tobin’s piece (p. 25-33) explores the possibilities of parental involvement for influencing the totality of the primary school experience. A PhD student at Dublin City University, she frames her work as a co-operative inquiry action research study that tracks the evolution of her understanding of how to best help parents engage with their children’s learning. Her professional values inform personal accounts of efforts to provide additional support to a small group of children in the form of parent workshops and subsequent parent-child sessions. Tobin’s enthusiasm for her work is palpable throughout the article, in particular as she summons the concept of a pedagogy of the unique (p. 31) to highlight her appreciation of the need to accommodate the individual in melding parental engagement with their children’s educational experience. Our fifth and last article (p. 34-41) considers the realm of business education, specifically how to cultivate entrepreneurial skills in students using a real-world business environment. Yvonne Crotty (Dublin City University), Tom Kinney (Invest Northern Ireland & Centre for Innovation and Workplace Learning), and Margaret Farren (Dublin City University) explain how the Business Model Canvas strategy tool helped students to understand business development prior to their participation in an online business game (Erasmus + Play4Guidance, or P4G). The tool featured video-based instruction on business planning and strategy as well as designing and building business models, drawing on 25 entrepreneurial competencies identified by the European Union’s P4G Consortium. Their work not only highlights the transformative potential of hands-on exercises provided by the game but, perhaps more importantly, the need to provide critical supplemental support to help participants maximize their learning from the experience. I trust you’ll find these five articles as valuable as I did. As you read them I encourage you to consider how sharing your own efforts could equally benefit the readers of this journal. We encourage submissions and commit to a mutually productive peer review process that we feel will help you to deliver your best work. If you're interested, please let me know.